In today’s Joy Fit Club segment, new Joy Fit Club member Dale told his story of his weight struggle and how he lost the pounds. Dale spent his entire life morbidly obese but not knowing how to lose the weight. Kathie Lee & Hoda talk with Joy Fit Club member Dale about his extreme weight loss and how he used his smartphone to help him lose the weight. His weight topped out at 460 pounds and he knew something had to be done. So when his wife joined Weight Watchers in 2010, he worked alongside of her to lose weight together. He began noticing some changes in his figure and attitude through Weight Watchers and after one year, he had already lost 100 pounds. Dale saw the physical changes in himself and knew that he could continue to lose weight, so he downloaded the online calorie counting app Lose It on his smartphone. He is now down to 173 pounds and completed his first half-marathon in March. He addressed the emotional issues that came from his obesity and joined a church group to deal with those issues. He now uses portion control and eats more natural foods, like his own pumpkin granola bars, to maintain his healthy weight. He is now looking forward to completing his next goal: a full marathon in the fall. Joy used Dale as an example for the great weight loss apps there are for smartphones, as well as online websites. 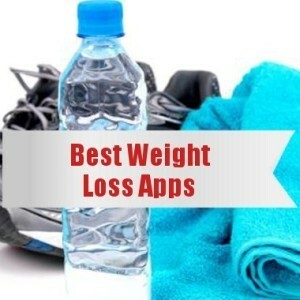 Her favorites are SparkPeople, FatSecret, Daily Burn, MyDietDiary, and Lose It, the app Dale used. These apps help track daily caloric intakes while also helping users select more nutritious and healthy diets and meals. They also track daily exercise and some offer their own exercise regiments for an even healthier, toned body. Recent grad of E.W. Scripps School of Journalism at Ohio University living in Cincinnati, Ohio. Lover of everything entertainment, pink and pearls. Lucille Bluth is my spirit animal.